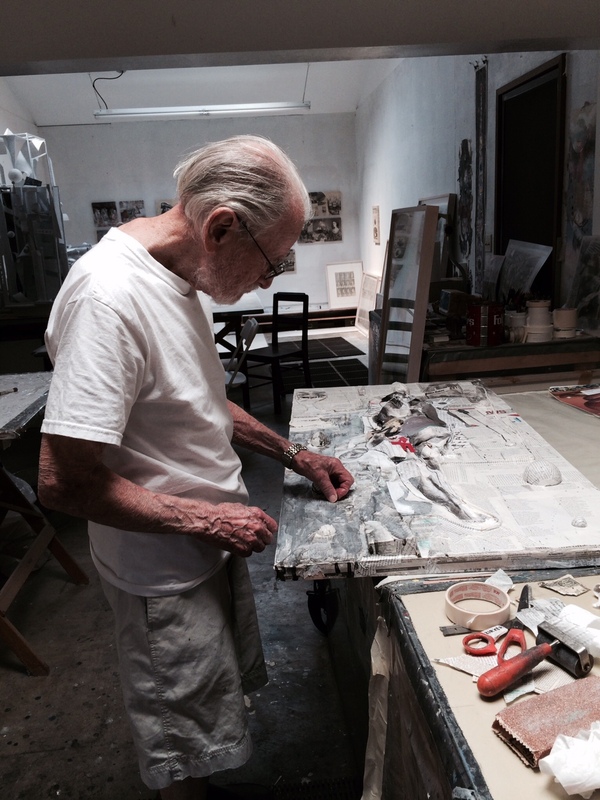 Menlo Park artist Joe Zirker turns 90 Wednesday and has an opening at Palo Alto Art Center Thursday, 6 p.m.
Thursday, August 14, 6-8 p.m.
Join us on Thursday for refreshments (and cake!) 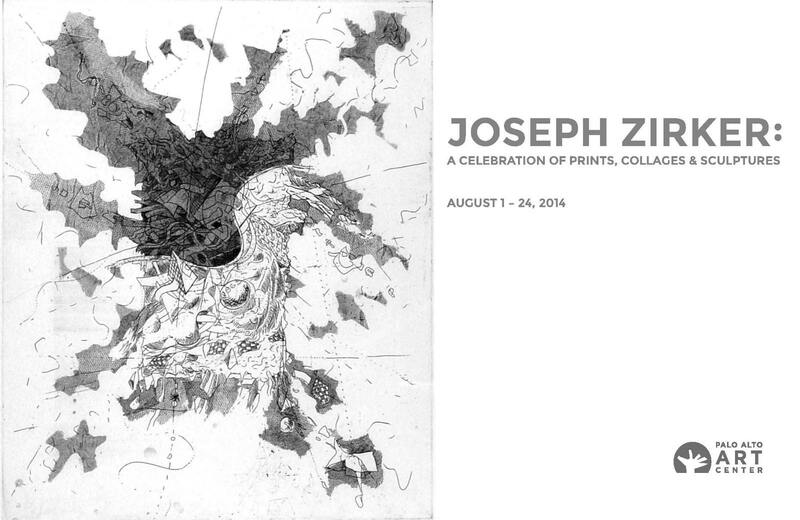 as we celebrate the 90th birthday of internationally recognized local artist Joseph Zirker, and his current exhibition, Joseph Zirker: A Celebration of Prints, Collages and Sculptures. This exhibition offers a glimpse at works created during an extensive and ongoing career, highlighting new collages by the ever-prolific artist whose innovations continue to inspire. For more information contact the Art Center at 620.329.2366 or artcenter@cityofpaloalto.org. This entry was posted in art, ethniceities, Plato's Republic. Bookmark the permalink. Just saw this. Hope Joe Zirker is still in good health and spirits. 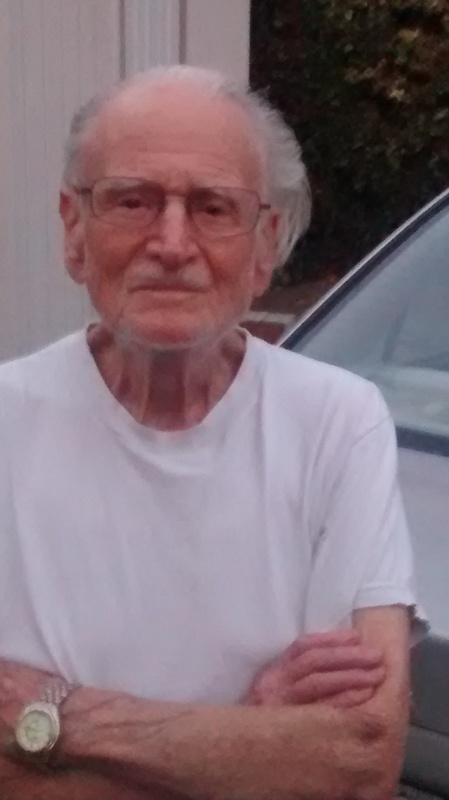 I have known him and his wife Eva from 1980s when I attended Stanford University.